In this video, Don Gulla will walk you through how to engage threats from a seated position. Most of us spend a significant amount of time sitting so knowing how to draw and aim is a critical skill to practice. While the fundamentals are similar, you will find that shooting from a seating position forces you to adjust how you move your torso and arms. If the threat is in front of you, the draw is very similar to what you would usually do. Make sure to practice getting your head off line as well. To shoot behind you is a little more involved. If you stand up to draw, you are wasting precious seconds which could make the difference. If the threat is behind and to the right of you, you will want to draw and engage with one hand. As Don demonstrates at :45 seconds, you want to draw with one hand, pivot your torso, and aim how you generally would. If the threat is behind and to the left of you, draw with your right and then use your left hand to establish your usual grip before engaging. If you shoot left-handed you can reverse these directions. As always, reinforce your SIRT training drills with live fire. 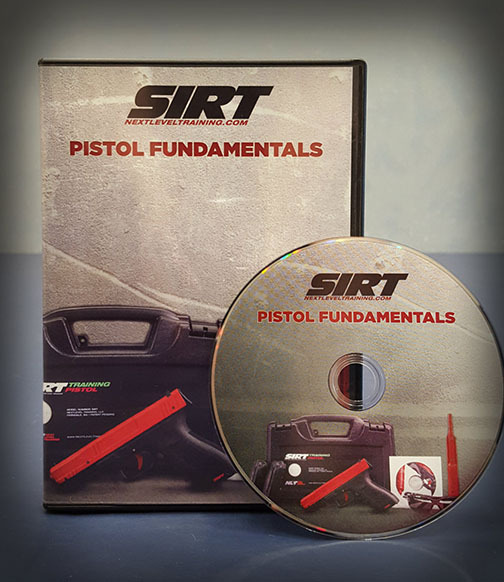 Using your SIRT will allow you to get the repetitions and practice you need to become extremely proficient. 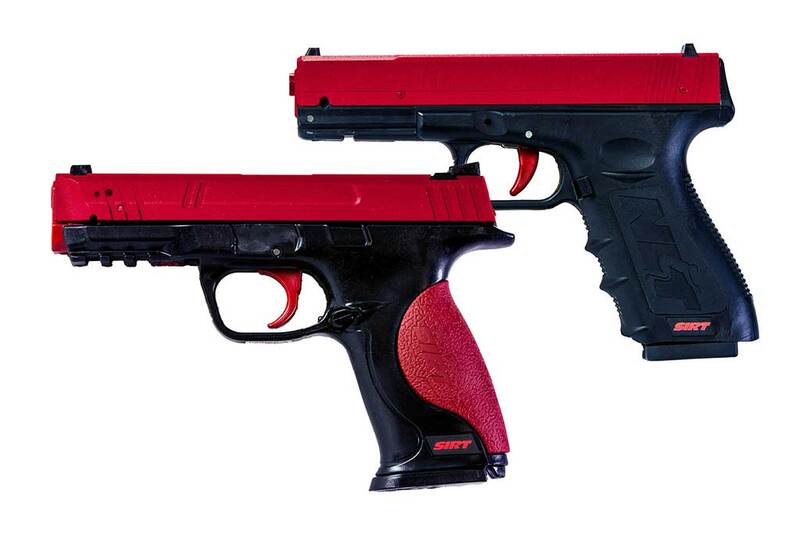 Then, reinforce these skills with your live fire gun at the range. 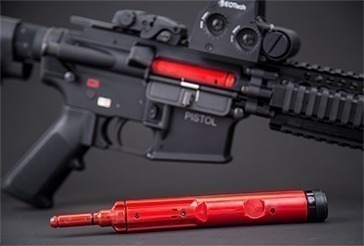 On the range, this drill is a little more difficult because it requires a large clear field of fire and the other shooters to be aware of what you are doing. These extra considerations make training at home with your SIRT even more appealing. This is okay as far as it goes, but what situation is this technique for? 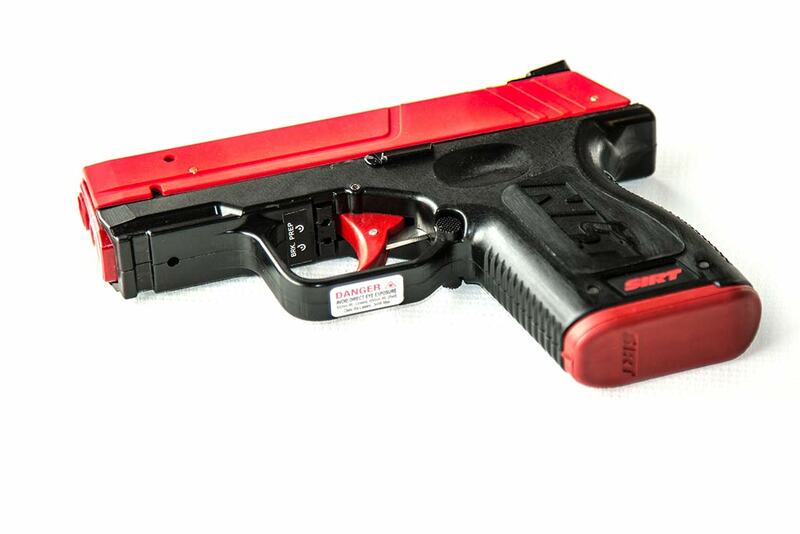 It probably won’t work in a car because of the seat belt and in a car you have limited directions in which to shoot. In a vehicle, about the only type firearm carry that will work is the appendix carry. Seated in, say a restaurant, you don’t want to remain stationary. You must get up and move, especially away from any people you are seated with. You will be drawing fire and endanger anyone near you. There is no perfect answer and there is nothing wrong with practicing this technique as long as it makes you think about scenarios where it might be required.